What is the first thing you look for while buying a gadget such as smartphone? Definitely its features, right? How is the camera quality, what is the display like? The design and durability, connectivity, is it android enabled, what are the pre installed apps, the processors installed, data speed and so on. In midst of all these apps and entertainment requirements, most of us overlook one of the basic criteria i.e. Battery Life. The logic is simple – The longer the battery life, the more connected you can be to the world. You probably must be wondering which smartphone comes with the best and longest battery life. Well, look no further. 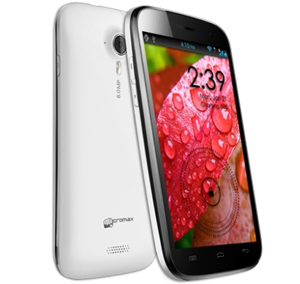 Micromax A116 Canvas HD is a quad-core smartphone with 1 GB of RAM and 4 GB internal storage. It also features IPS technology, 1280×720 resolution, 16 GB expandable microSD slot and so on. It costs Rs 13,990 in India. Battery life: 13 to 14 hours of heavy usage and almost 24 hours upon lighter usage. 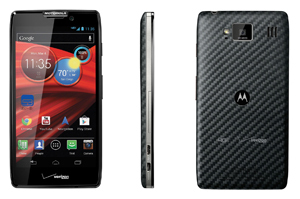 Motorola Droid RAZR Maxx features 4.3-inch display, Super AMOLED technology, 16 GB internal storage, 1 GB of RAM, 1.2 GHz, dual core Cortex A9 CPU clocked and wonderful battery support. It costs Rs 36,645 in India. Battery life: 12 to 13 hours of heavy usage. 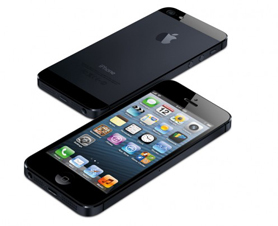 Apple iPhone 5, a brand in itself include technologies such as dual core A6 CPU with 1 GB RAM, 64 GB expandable internal storage, 4-inch Retinal Display, 1136×640 resolutions and a lot more. It costs Rs 45,500 in India. Battery life: 11 and half hours of heavy usage and 14 to 15 hours with lighter usage. 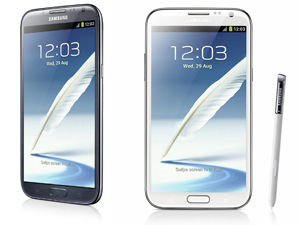 Samsung Galaxy Note II is packed with a lot of features like 5.5-inch display, Super AMOLED S-Stripe technology, 1280×720 resolutions, expandable up to 64 GB internal storage and more. It costs Rs 36,645 in India. Battery life: 10 to 11 hours of heavy usage and a few days with lighter usage. 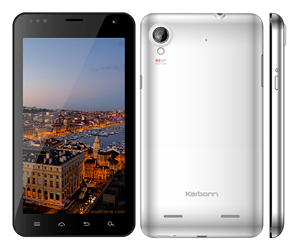 Karbonn A30 runs on Android v4.0.4 ICS. Other features of the smartphone include 5.9-Inch Capacitive Touchscreen 1 GHz Dual Core Processor, 8.0 MP Auto Focus Camera with LED Flash, 1.3 MP Secondary Camera, Wi-Fi and a lot more. It costs Rs 10, 900 in India. Battery life: 10 hours of Talk time. 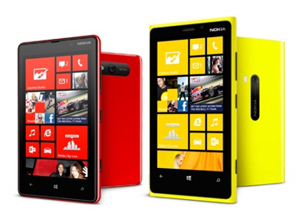 Nokia Lumia 920 features 4.5-inch display in PureMotion HD+ technology and 1280×720 resolution. This was the first smartphone that started the trend of Windows 8 in mobile phones. It costs Rs 35,999 in India. Battery life: 9 to 10 hours with heavy usage and almost 24 hours upon lighter usage. 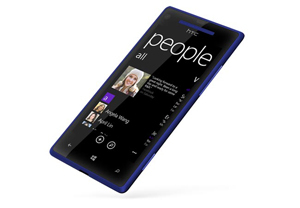 HTC 8X is the first Windows 8 smartphone from HTC with dual core Snapdragon S4 CPU, 1 GB of RAM, 1280×720 resolution, 16 GB of internal storage, lightweight and sleekishly stylish looks. It costs Rs 33,550. 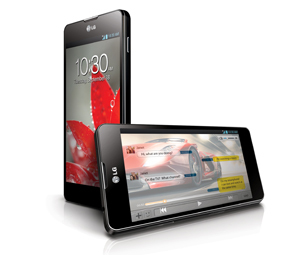 LG Optimus G comes with True HD IPS display featuring 1280×720 resolution, 1.5 GHz Snapdragon Pro quad-core CPU, 2 GB of RAM, 32 GB expandable internal storage, Qualcomm technology and the list goes on. It costs Rs 32,990 in India. Battery life: 8 to 8.5 hours of heavy usage and almost 24 hours upon lighter usage. 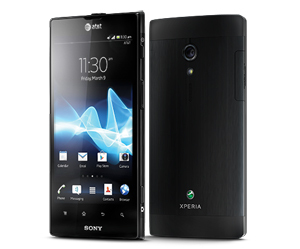 Sony Xperia Ion features dual core Qualcomm Scorpion, 13.2 GB internal storage, 4.6-inch display and is powered by Bravia technology by Sony. It comes with a battery capacity of 1900 mAh. It costs Rs Rs 21,490 in India. Battery life: 8 hours with heavy usage and almost 12 hours upon lighter usage. 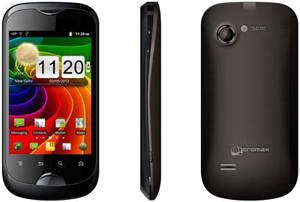 Micromax A80 Infinity is an Android 2.3.4 (Gingerbread) operated smartphone. Features like 9.525cm Full touch screen, 800MHz processor, 5.0 MP rear camera, Wi-Fi and bluetooth connectivity, Aisha – voice assistant etc. makes it a hit in the market. It costs Rs. 8,490 in India. Battery life: 7 hours of Talk time and 288 hours of standby time.